The second gesture of Screen Hair Repair internal reconstruction system. Deep treatment with a pH of 6-7 that raises the scales allowing a deeper penetration of the product in the innermost layers of the stem. Directions for use After STAGE ONE, apply to towel-dried hair. Gently massage. Leave in for 5 minutes. Rinse and towel-dry to be ready for the last action: STAGE THREE. Please always refer to instructions on the pack. 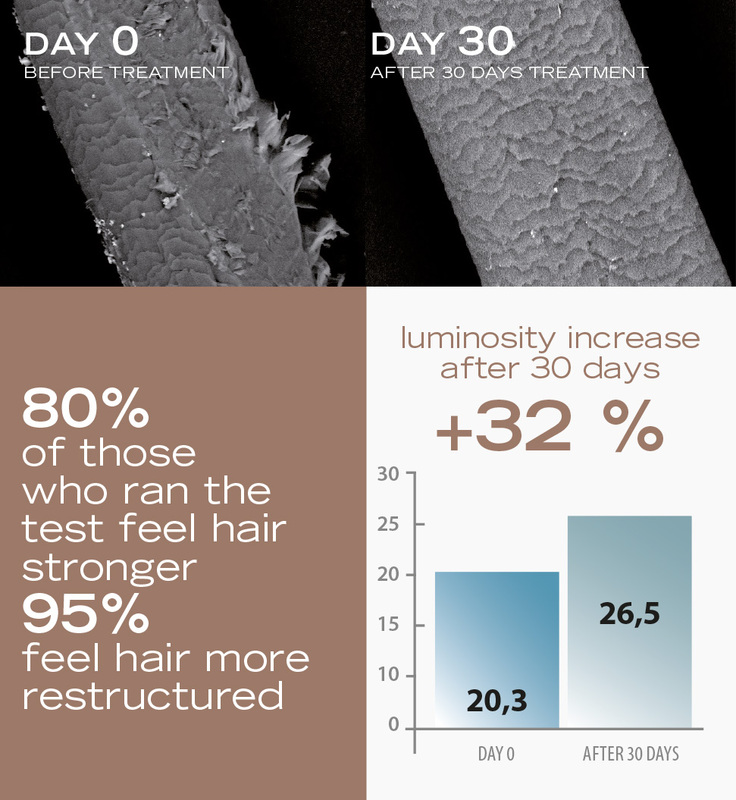 It lifts the hair scales for a deeper penetration of the repair treatment.